Gary Moore’s star novice chaser Ar Mad is set to light up the action at Plumpton. Since being well beaten in a novice handicap at this track in October, the six-year-old has rattled off three successive wins, including big-race wins in the Henry VIII Novices’ Chase at Sandown and the Wayward Lad at Kempton. The only question mark hanging over him ahead of a likely tilt at the Arkle Trophy at Cheltenham next month is whether he can be as effective back on a left-handed track and he sits that test in East Sussex. Anything less than an assured victory in the Download The At The Races App Novices’ Limited Handicap Chase will likely see his Festival dreams go up in smoke, though he does face an extra half a mile. Given he faces such a small field and he has the class edge, however, he could win without the question being completely answered. Askamore Darsi can complete a hat-trick for Donald McCain in the Weatherbys Bank Chase at Catterick. Askamore Darsi is actually the yard’s highest earner this term having won at Market Rasen, Doncaster and Sedgefield, as well as finishing second at Newcastle. He is only a couple of pounds higher than his latest tenacious triumph in County Durham and a bold bid looks assured. Smart dual-purpose mare Pass The Time can secure her second victory in the space of a week in the 32RedSport.com Handicap at Wolverhampton. Neil Mulholland’s seven-year-old has a rating pushing 140 over hurdles, winning five of her 20 starts in the jumping sphere as well as running some excellent races in esteemed company in defeat. She has bumped into the brilliant Annie Power on more than one occasion, while there were no signs of deterioration when fourth in a well-contested Grade Two at Doncaster last month. Having gone over a year without victory, Pass The Time reverted to the all-weather at Southwell last Wednesday and made the most of her favourable mark of 57 with an assured four-length success. Connections are clearly keen to strike while the iron is hot as she turns out again just five days later, with a penalty unlikely to be enough to stop her following up. Space Mountain is of significant interest on his all-weather debut in the 32Red.com Handicap. Mark Johnston’s three-year-old is bred to be pretty smart being a son of the legendary Sea The Stars out of smart dual Listed-winning mare Ripples Maid, but his three starts as a juvenile were all pretty uninspiring. 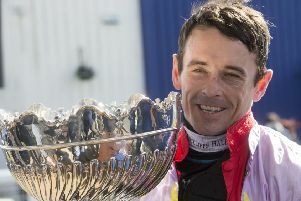 He looked all at sea when last of seven on his Haydock debut last June, while more positive tactics failed to yield much improvement on his return to Merseyside in September. There was a little more promise in his final start of the year at Bath, though, and he heads to Dunstall Park on his return from a near five-month break for a lowly handicap for horses rated 56-70. It says all we need to know about the opposition that despite the fact Space Mountain has not cut much ice thus far, he actually carries top-weight and this looks an excellent opportunity for him to get off the mark in this sphere at the first time of asking.